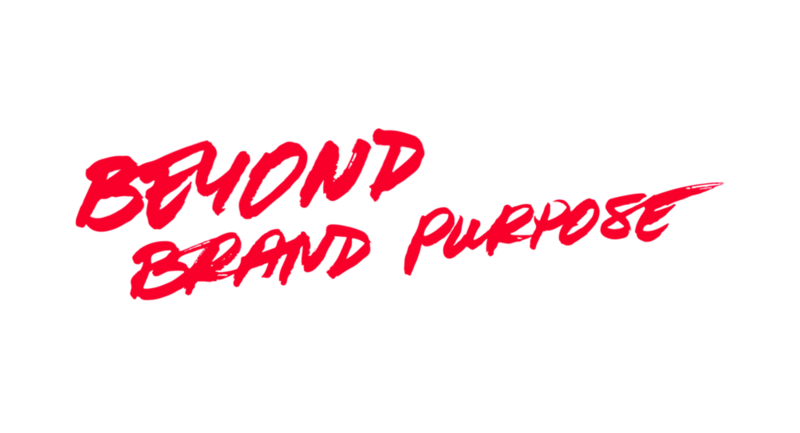 Brand purpose, and brand activism is not something to be ignored, or to be worried about in some imagined future. The future is now. The rules of the relationship between people, product and the planet are being completely re-written. If brands don’t get on board with this, they risk vilification or even obsolescence. Feat. Ben & Jerry's, The Body Shop, Levi's and more. The relationship between brand and ‘consumer’ has altered dramatically, and it’s imperative brands understand this change - the need for a clear purpose, action not intention, transparency internally and externally, and the growing expectation that they will begin to adapt their practices to become a force for good. Our report is an essential read, detailing how in identifying a core brand purpose and reason to believe, brands and companies at large can make strategic decisions that align with their values and still effect positive change. We were fortunate to interview some leading brands within this space for our report, including Ben & Jerry’s, The BodyShop, Levi’s, Oatley, IHG and Patagonia, to assess the real challenges that lie ahead in 2019 and beyond, and also to offer learnings and strategic recommendations. Brand activism is not something to be ignored, or to be worried about in some imagined future. The rules of the relationship between people, product and the planet are being completely re-written. We were fortunate to interview some leading brands within this space for our report, to assess the real challenges that lie ahead in 2019 and beyond, and also to offer learnings and strategic recommendations. “Brand’s shouldn’t just consider a narrative change when getting involved in brand activism, they should be driving systematic change to ensure real action is taken.” Ed Shepherd, Head of Activism at Ben & Jerry’s. “We’re trying to encourage emotional connections with our products, so the longer you have it, the more you love it. We hope that the ethos of what we stand for as a brand and our sustainability message educates the customers on how to make their products last as long as possible.” Tom Kay, Founder of Finisterre. Marketing Week: How Ben & Jerry’s and Levi’s put activism at the heart of their brands. exploring social justice, gender equality, and powerful insights into audiences who care deeply about these issues, who have strong ethical values but have lost faith in the political system to make change.